Today, I would like to introduce the takoyaki. Takoyaki is the The Best Osaka’s soul food, so you should try TAKOYAKI when you visit Osaka!! TAKOYAKI is composed mainly of wheat flour. This food is Japanese fast food representative of the Kansai region. So I let you know the Best TAKOYAKI in Osaka. Although TAKOYAKI might everywhere to eat in Japan, Osaka is the main place to enjoy TAKOYAKI!!! 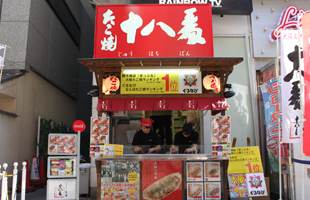 So let’s have fun in your Osaka trip with awesome TAKOYAKI experience.